Danish amateur Nanna Madsen delivered a tournament record equaling nine under par 63 to take a two stroke victory in the Ladies European Tour’s Lalla Aicha Tour School Final Qualifying tournament for the 2015 season. The tournament came to a gripping conclusion on a sun-kissed final day at the stunning Samanah Golf Club, Nicklaus Design’s first course in Morocco, located at the foothills of the snow-capped Atlas Mountains. Madsen, a 20-year-old from Copenhagen, Denmark, showed enormous potential as she reeled off 10 birdies and one bogey to finish on a 90-hole total of 343, 17-under-par. The Qualifying tournament was one of 30 professional tournaments and significant amateur championships held at Nicklaus Design golf courses in 2014. Samanah also hosted the event in 2013 for the 2014 Tour year. 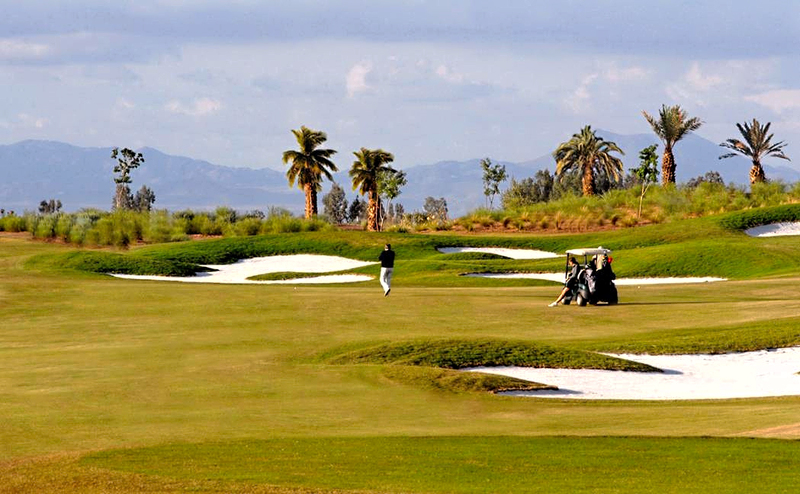 The course opened for play in 2008 to become Nicklaus Design’s first golf course in Morocco. The next year, the course was named the “Best Golf Development” in the Arabia zone and received the “International Property Award” in its category. The 2015 Ladies European Tour season begins with the RACV Ladies Masters in Queensland, Australia, on February 12.